I am extremely happy with my experience with Janet and all other helpers. They are quick, efficient, helpful in all areas – donate, sell, keep. I was “beside myself” with the thought of getting my basement ready to move. I feel better and able to do what I need to complete the job. They are excellent at sorting, packing and helping me to donate or share. Major Organizers are fantastic. They worked very hard and did a wonderful job organizing my kitchen, study, and great room. I wouldn’t hesitate using them again. They also give veterans a 10% discount. Deanna was a great help and I definitely feel more liberated. I appreciate her keeping her schedule open and allowing me more time then I anticipated. We worked great together and I feel it made a huge impact on de-cluttering and purging my home. I was hesitant to call because I thought I could do it all myself but was so glad to have her help me and she had great ideas on where to put things and hoe to contain them. 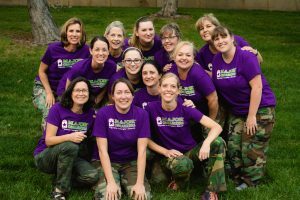 Angela and the team at Major Mom/Organizers are absolutely incredible. I was expecting her to come over and move a few things around and get rid of some clutter. Instead, as we started to look at my place, we realized that the current set-up was really limiting. She, very gently and without judgement, challenged me to think differently. I now have a new eating space that I would never have thought of, a closet dedicated to sports(instead of being scattered everywhere), a space that is much, much easier to keep tidy and clean, and a much more inviting home. I highly recommend Major Organizers! I have been telling everyone about how fantastic this whole experience was! It far exceeded my expectations. My “Liberators” were so perfect….they alleviated all my questions and concerns immediately. I am sure I will use your company again! Thanks so much! After working for 30 years, helping to take care of grand kids and having major medical problems, my son and daughter-in-law recommended Linda to help me sort, place, and file an overwhelming amount of paperwork that had piled up over many years. Wow! She was a God send. She knew exactly what to do, where to start, and how to finish to make my office so pleasant and workable. It has made me more relaxed and organized. I was feeling very overwhelmed with the clutter and clothes all over my home. Every time I tried to get things organized, I only got more frustrated. But when D’Nae came out the first day and gave my ideas and activities, she has made it much easier and fun to get things organized. She helped me get me son involved and excited. Now, when I walk into my house, I feel good and I am not so overwhelmed with everything. Since D’Nae has come and helped me, I think it has also helped my health improve. I am thankful that my mother had called Major Mom. D’Nae did a wonderful job. She made me feel comfortable and made this a fun experience. Thank you for everything. Thank you Angela. You have gone above &#038; beyond what I was expecting, or thought I needed! I have been more productive &#038; calm since my office space has been cleared out and organized. My husband was VERY impressed. We even had family time in the loft area which we haven’t done in the 3 years we’ve been in this house. It’s a different energy and it’s obvious to everyone. I was so inspired by our work together that I organized Jake’s room, the kitchen’s messy drawers &#038; spruced up my closet. I can’t stop raving about how amazing I feel because everything is lighter. It’s a joy to be in my office. No doubt I’ll have a more productive business in 2012 because you’ve made space for new active client files! Thank you for getting me up &#038; running again. You are amazing! Thanks Angela. Can’t describe how grateful I am to you for getting me into shape. Today I dropped off a huge bag of cards to someone who will get them into my database. Tonight I’m buying my first smart phone. I time blocked things I’ve been putting off &#038; the feeling of overwhelm that I’ve learned to live with has melted away. You are a rock star. I asked Angela for the 20 minute consult with the intention of learning more about her process so that we could refer business. Although I am a fairly organized person, after 10 minutes of her questions and answers to my questions, I knew I had to hire her. She quickly understood my thought process as well as the systems I currently worked with my business. She tweaked some of the things I was doing, helped me create new systems and processes that serve me extremely well, and supported me in cutting out old habits and disjointed processes. Not only has my efficiency and effectiveness increased, my energy and therefore revenues have increased as well. As a business owner with a home office and mother of two small children, I was becoming buried by paperwork and perpetually challenged to maintain order. I was so fortunate to find Angela and Major Mom when I did, and I really can’t say enough good things about her and her amazing company! I instantly felt like I could breathe again….she gave me the tools and systems to effectively maintain order, control the flow of paperwork and remove clutter. And even more importantly, her knowledge and experience on what works and what doesn’t allowed us to quickly gain control and systemize to create growth for our business and make time for personal and family activities that we couldn’t seem to get to before. Should I get behind or feel overwhelmed again, I know exactly who I’ll call to whip things right back into shape for us! Thank you so much for everything Major Mom! !